In a significant judgment, the Supreme Court of United States has held that the race-conscious admissions program at the University of Texas is lawful under the Equal Protection Clause. Fisher, the petitioner who challenged the race conscious affirmative program had contended that the university denied her admission in favour of lesser-qualified black and Hispanic applicants. According to her, the program violated the US Constitution's guarantee of equal protection under the law. “As this Court’s cases have made clear, however, the compelling interest that justifies consideration of race in college admissions is not an interest in enrolling a certain number of minority students. Rather, a university may institute a race-conscious admissions program as a means of obtaining “the educational benefits that flow from student body diversity.” the Court ruled. The Court also observed that consideration of race has had a meaningful, if still limited, effect on the diversity of the University’s freshman class. 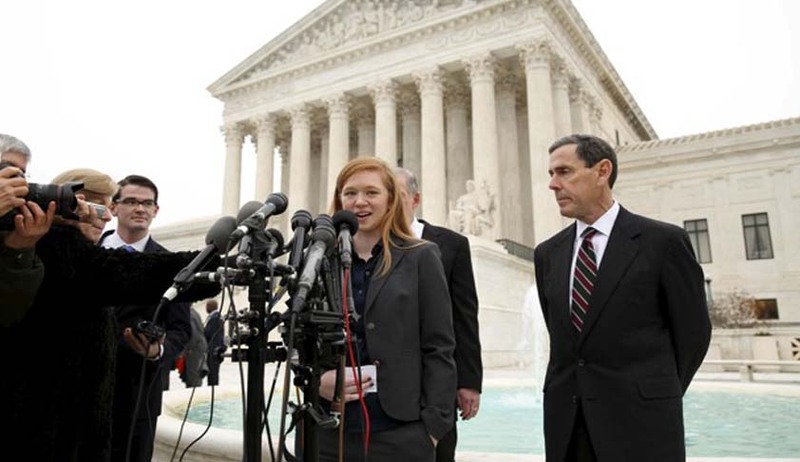 The Court also said that the Equal Protection Clause does not force universities to choose between a diverse student body and a reputation for academic excellence. The Court, however added “The Court’s affirmance of the University’s admissions policy today does not necessarily mean the University may rely on that same policy without refinement. It is the University’s ongoing obligation to engage in constant deliberation and continued reflection regarding its admissions policies.”The Court added that the University must continue to use this data to scrutinize the fairness of its admissions program; to assess whether changing demographics have undermined the need for a race-conscious policy; and to identify the effects, both positive and negative.